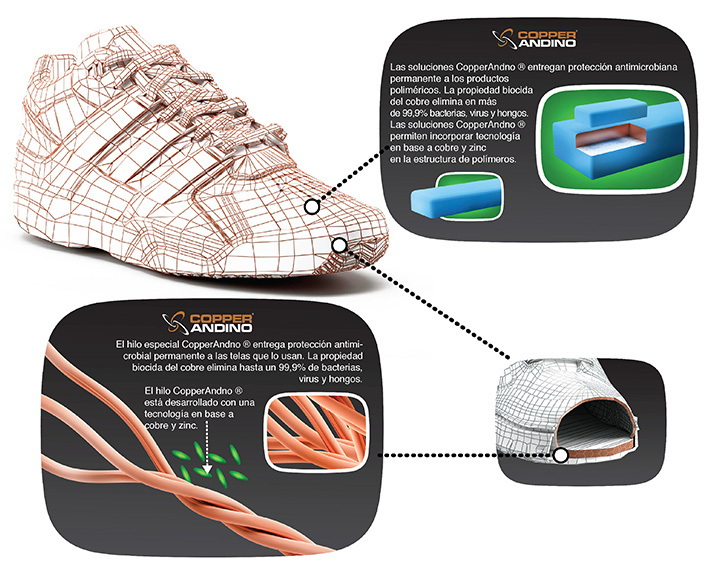 The antimicrobial properties of the technology developed by CopperAndino prevent the presence of pathogen organisms, which cause infections and bad odors, even in wet conditions. When our technology is applied in thread it makes its antimicrobial properties to maintain during all of its useful life. Temperature and humidity generated by perspiration provide the ideal enviromant for fungi’s and bacteria’s propagation. 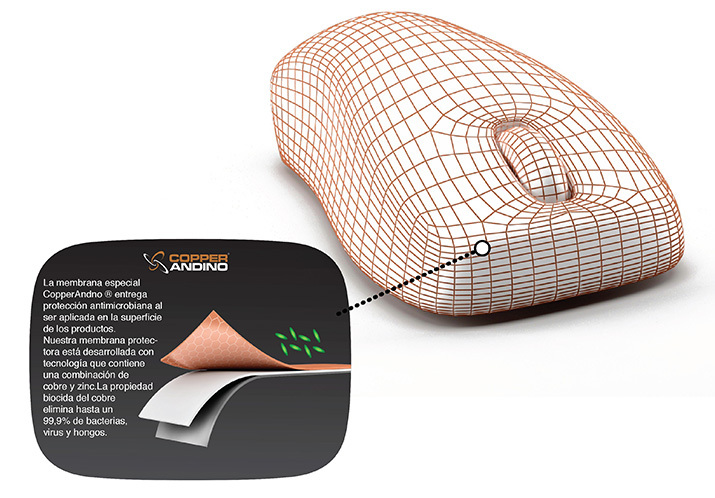 CopperAndino’s patented technology eliminates and prevents the prescence of said pathogens by more than 99%. protecting the skin from fungal related infections. More than 80% of viruses and bacteria responsible for illnesses, such as colds and other infections can live up to 48 hours in surfaces like desk boards, keyboards, mice, phones and other common office supplies. The incorporation of CopperAndino’s antimicrobial technology translates into healthier working environments, avoiding, many sickness related absences to work. 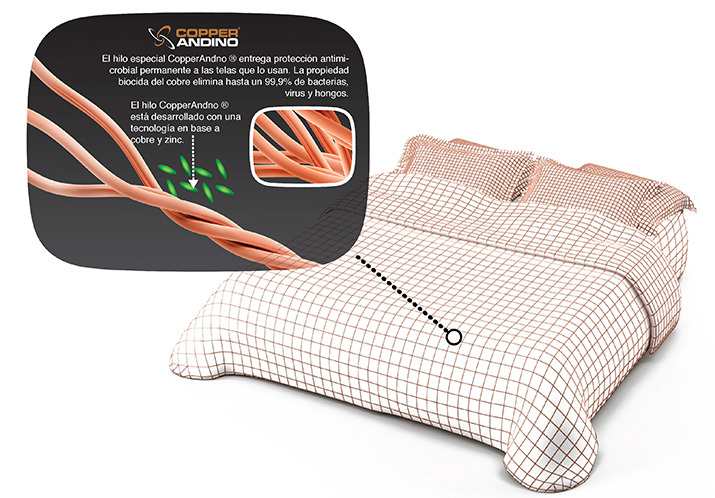 The temperature and dampness concentrated in bed sheets, mattresses, towels and other threads used for domestic use help the propagation of fungi and bacteria, as well as mites, which live in mattresses, pillows and blankets. CopperAndino’s antimicrobial technology stay permanently on the clothing, resisting up to 50 wash cycles, maintaining a healthy home environment. Food decomposition and contamination is mainly produced by bacteria. 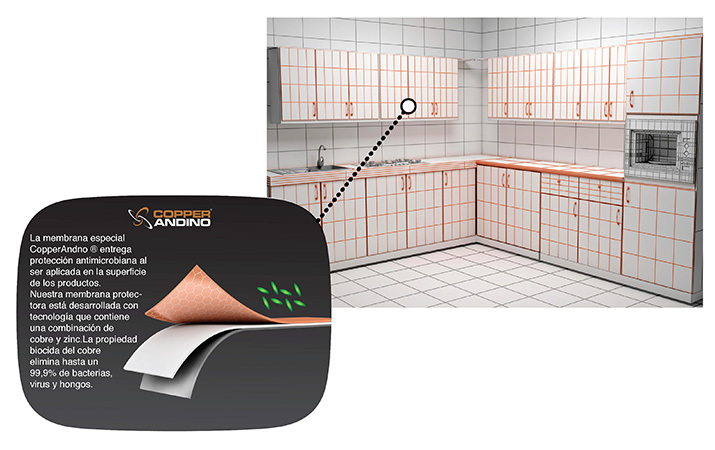 Due to its antibacterial characteristics, CopperAndino’s technology eliminates bacteria through contact, that way keeping the food edible for longer periods of time. 65% of the time health personnel’s uniforms, as well as hospital’s bed sheets contain dangerous bacteria. And, against popular belief, washing doesn’t necessarily mean sterilization, so these pathogens stay on the, apparently clean, clothing. 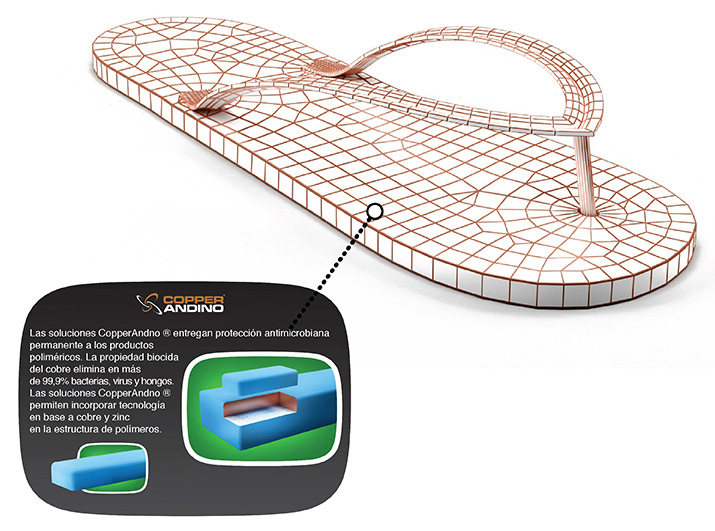 CopperAndino’s antibacterial technology eliminates more than 99% of bacteria at the moment of contact, that way, preventing the pathogens’ survivability on clothing. Copper’s antimicrobial characteristics have been demonstrated in studies by Birmingham’s University Hospitals, The NHS Foundation Trust and the Aston University (UK). Our technology’s antibacterial properties stay, unaltered, during all of the garment’s useful life. As an antibacterial and antimicrobial technologies developer, we have the ability to solve all of your business’s specific necessities.